The two eligible bachelors will be looking for their perfect match in the new dating competition series with 20 contestants vying to win their hearts. "Each episode, the contestants will face off against one another hoping to avoid the elimination ceremony while the boys must also compete for the affection of the contestants as well - making this reality-dating show unlike any other," says MTV's press release. DJ Pauly D is currently DJing in a Las Vegas residency and Vinny has become the Keto-guido at his Staten Island homestead. Both are ready for finding a relationship. 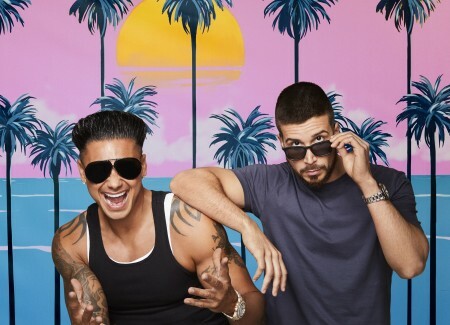 "Double Shot at Love with DJ Pauly D & Vinny" will premiere Thursday, April 11 with back-to-back episodes on MTV.